Fans of the hit Ice Age movie can now rejoice! 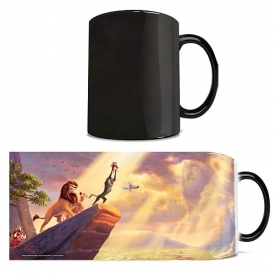 The Ice Age Thomas Kinkade Morphing Mug features a beautiful image created by Thomas Kinkade Studios. Watch as the exterior of this 11-ounce Ice Age Thomas Kinkade Morphing Mug magically transforms from black as hot liquid is added, revealing the hidden image in full vivid colors! Hand wash only. Not dishwasher safe. Do not microwave.